1. We asked you for the key ingredients you felt our new name should include. 2. While providing key name ingredients lots of you also voluntarily and helpfully offered up name suggestions too. How could you resist? Looking at the name brief we drew up a shortlist of suggested names that met the brief. 3. We sent you the shortlist to choose from and gave you the opportunity to suggest further names, just in case we'd missed a qualifying contender ... We also asked you to qualify your choice against the name brief. The outcomes from this consultation was incredibly helpful in giving governors a steer towards choosing the right/best name for our school for September 2018 from the right/best shortlist. Many thanks for your input. The name unites the two sites on many levels. Cotham Gardens links the two sites geographically and is a key place children from both sites gather outside school hours and sometimes during school time when teachers organise activities there. Cotham Gardens rather than Cotham Primary indicates we are not part of Cotham School up the road. Cotham Gardens is a communal and inclusive area where everybody comes together and gardens signifies a commitment to the environment and sustainability which is an important element of being diverse, inclusive and active citizens. Thank you for helping us choose the right name for our school's onward journey into its 8th decade and beyond ...We're looking forward to seeing the new logo design ideas from the children. Since the decision to change the school name in December 2017, we've been consulting with the school community about what the new school name should be from September 2018. People also have the option of suggesting an alternative name along with their rationale for how it fits the brief. This last phase of the consultation will end at midnight on Sunday 29th April 2018 and governors will use it to inform their final vote. Why review the school name now? How can I find out more to inform my view? How can I make my view known? Hilary Mantel (historian and author) analyses how historical fiction can make the past come to life. She says her task is to take history out of the archive and relocate it in a body. Sue Lawley: "What do you think of the fact that Colston Hall is no longer going to be called the Colston Hall because Colston made his money out of slavery? Courtesy of BBC1's The One Show Friday 1st Dec 2017 - their feature about our name debate. In reaction to the resultant decision discussed on the show Robert Lyndsay, guest, said: "attitudes are changing, skeletons are coming on out of the cupboard for all sorts of reason, I agree with the kids (about changing the name of Colston Primary School) - power to the people is what I say!" 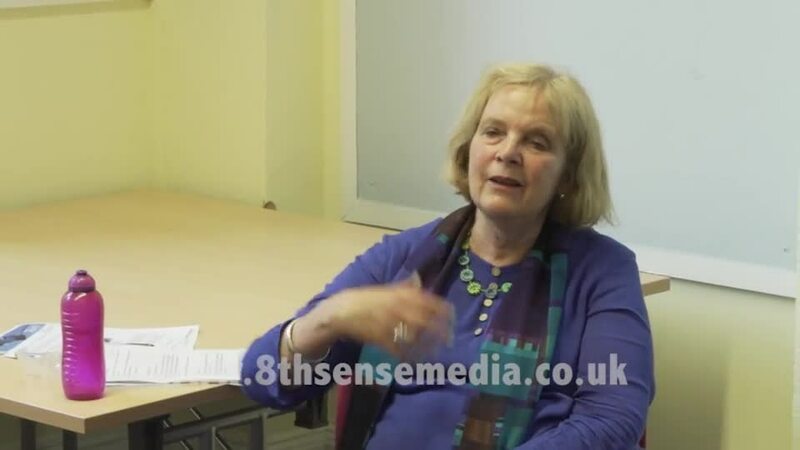 Clip of Dr Madge Dresser, Historian, talking about Edward Colston at 21st June meeting, and KSP contextualising info for our consultation process ... There was much lively discussion from the floor in between! Introduction at the first consultation meeting on a very hot midsummer's evening 21st June 2017! Cllr Cleo Lake, Cotham Ward, Green Party Councillor writes in the August 2017 Bishopston Voice: "As a former Colston's Girls' School student and Countering Colston campaigner I welcome the idea of a name change ...[just back from] the Cross Rhodes Freedom Project with the mantra 'We cannot change history but we can change our relationship to it'"
Friday 1st December 2017: The final decision to change the name of our school for September 2018 is announced. Monday 20th November 2017 6 til 7pm: EGB convened for governors to vote for or against a name change and discuss next steps further to the result and confirm Friday 1st December 2017 as announcement date when the decision and accompanying rationale and consultation outcomes report will be made available. Friday 3rd November 2017: Consultation results presented to the Governors School Name Committee and then circulated to all governors along with meeting date and papers for an Extra-Ordinary Full Governing Body Meeting to vote for or against a name change guided by the results of the community consultation. School re-opens after the summer holidays with a new intake of reception children and their parents and carers. Regular reminders about the consultation survey and accompanying consultation web pages are put into the school newsletter, it is flagged at a new parents meeting, co-op reps continue to facilitate consultation with parents at Tuesday coffee mornings, staff meet again, reminding established staff and alerting new staff to the issue. The co-op forum discuss ways to reach out further to the local wider community and plans are in progress to visit the Avenue House Care Home opposite the school and also to connect with the Bishopston, Cotham and Redland Neighbourhood Partnership. The Learners' Forum (school council) meet to discuss findings from the Wow! Day last term when pupils discussed the school name. Council reps begin to prepare summary findings for governors at a meeting scheduled for 3rd November 2017. Survey results and consultation meeting feedback will also be presented for governors to consider and a recommendation will be prepared for the Extra Full Governing Body Meeting where a final decision will be made. Date soon after, mid-November, TBC. "The Society of Merchant Venturers is actively working with leaders across Bristol who share our commitment to improve the quality of life for all. Accurately remembering and appropriately acknowledging Bristol’s connection to the slave trade is a discussion we are driving forward with purpose. We are supportive of conversations that allow residents of Bristol to explore the City’s history and understand how it fits into each individual context. Open and transparent discussions, which include accurately understanding the historical context, will help us as a City, to move forward." "My sisters and I are former pupils of Colston's Primary School and believe we were one of the first black children to attend the school in the late 60s and 70s. As children we had no idea about the history of the school, our memories are based on the great teaching and pastoral care we received. Having done our research my sisters and I agree that the connection/links to Edward Colston is tenuous at best and therefore our view is that if the events of the 2nd World War had not happened, the school could easily have been named Cotham Grove Primary School, in recognition of the site of the original school buildings. 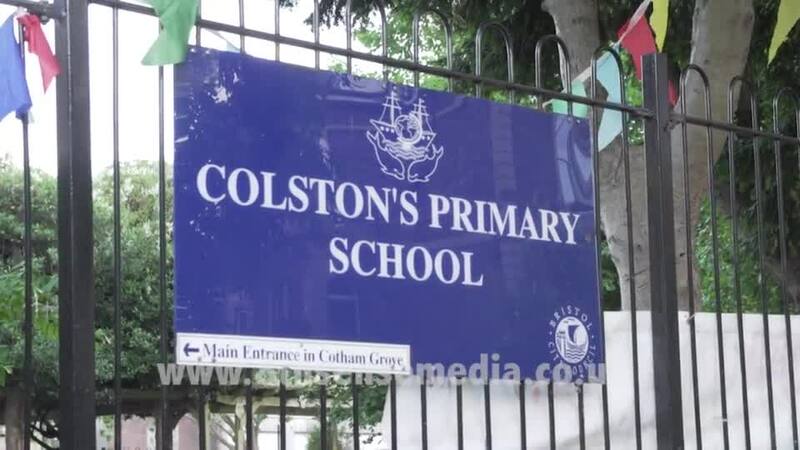 There is no direct link to the slave trader other than providing a home to Colston's Girls Junior School pupils from 1941-47 following the blitz, therefore we see no need to retain the name. It's not the name that makes the school great but the teachers, the philosophy and the students. The history and legacy of the school should remain as a part of the curriculum offer." I had a fascinating wander round the school yesterday listening to the children discussing the school name.There were lively and passionate debates all focussed around our cooperative theme of ‘Democracy’. It was great to see the children really engaged in thought and conversation about what is clearly a really interesting issue. On Thursday it was the turn of the children to voice their opinion on the name of our school. Each class learnt about the figure of Edward Colston and talked through the issues surrounding the decision about whether to rename our school. The discussions were fascinating and the opinions were varied and all discussions were sensitive and respectful. The results of this pupil consultation will be collated by the Co-operative Forum, discussed by the Learners Forum and fed back to the Governors to inform the eventual decision. Thanks to all the children and teachers for a fantastic Co-op session. Democracy- all our voices are heard! Friday 30th June 2017: Kate Swainson Price, Chair of Governors, and Josette Bush, staff co-op rep, host a meeting with school Learning Support Assistants, raising awareness of the consultation process, flagging the information on the consultation pages and encouraging engagement. Attendees also listen to the BBC Radio Bristol edit which provides an idea of some of the views in the playground. Some discussion of the issues at play ensues before the bell goes and support duties call once more! Wednesday 28th and Thursday 29th June 2017: Sarah Robertson, Head of Communications and Special Projects at Colston Hall is special guest speaker. 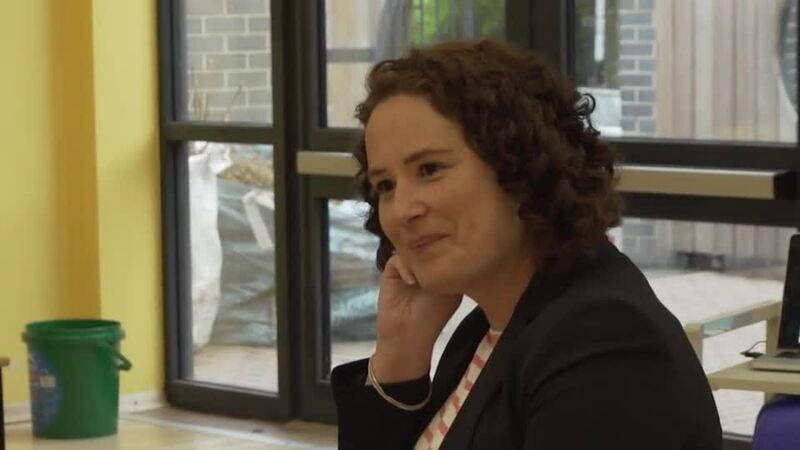 The meetings are hosted by Kate Swainson Price, Chair of Governors. A mixture of co-op reps, governors, parents and carers, school staff and staff alumni attend. Sarah Robertson tells the story of Colston Hall's journey leading up to the unanimous decision by its Board of Trustees, to change the name of the hall on re-opening having been refurbished and transformed in 2020. Sarah says she is proud of the Trustees' decision, knowing it to be right for the hall in relation to its history (which is unconnected to Edward Colston - they have the name because the building is on Colston Street), vision and values, but describes how surprised they have been at some of the strong public reaction against the decision and some of the misapprehensions that exist about the hall's connection to Edward Colston. The hall was criticised by some for keeping the name, and is now being criticised by others over the decision to change its name. The Trustees of the hall remain proud and clear over their decision to change the hall's name on re-opening. Media footage included in left hand column of this page. Wednesday 21st June 2017: Dr Madge Dresser, Historian and expert in Bristol and slavery, is special guest speaker at consultation meeting. Kate Swainson Price, Chair of Governors and School Name Governor Sub Group member, hosts. A mixture of governors, parents and wider local community members attend. KSP introduces and outlines reasons for consultation and the process. Dr Madge Dresser tells us about Edward Colston, who he was and his involvement in the slave trade. There is much discussion from the floor, and KSP finishes by putting the discussion into the context of our consultation process. Tuesday 20th June 2017: Co-op reps attend the international coffee morning to raise awareness of the consultation and discuss the process and issues.